Kaal Sarp dosh – Yog is formed when all seven planets Sun, Moon, Mars, Mercury, Jupiter, Venus and Saturn are hammed between Rahu and Ketu. 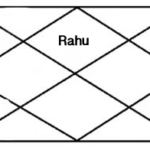 As you already know that the position of Rahu & ketu in rashi chart is always in front of each other, mean if rahu is placed in 1st house , ketu will be 7th house. Thus there are the possibilities in any chart to place rest of the planets in between Rahu and ketu, and this position is called Kaal Sarp dosh – Yog. 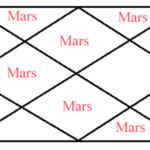 Its very important to consider the digrees of the planets place with Rahu or ketu to be sure about the existence of Kaal Sarp dosh – Yog in natal chart, means if mars for example placed with rahu with 10 degree and rahus degree is less then mars degree, the Kaal Sarp dosh – Yog dose not exist in that chart. Rahu and ketu degree must be more then the planets placed with them. 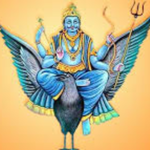 Generally Kaal Sarp dosh – Yog gives struggle to native in all matters of life, related to health, wealth, career, profession, love, marriage, children and many other things related to our life, but it is very important to find out the exact effect of a Kaal Sarp dosh – Yoga in the native horoscope. Is it giving bad effects and struggle in health, wealth, career, profession, love, marriage, children or other things related to our life? How would you know ? This can be judged by position of the Rahu and ketu in different houses of natal chart, for example if Rahu is placed in 1st house and ketu is in 7th house the person will have the difficulties in health and wealth as the 1st house indicates the health and the struggle of life of the native, thus if rahu is in 2nd house the person may have the struggle and difficulties with family relations, wealth, and other related things to 2nd house. Thus we can judge the effects of a Kaal Sarp Dosh – Yog in 12 house of the natal chart and it make 12 types of Kaal Sarp Dosh – Yoga. 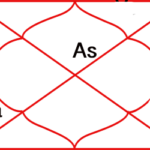 Anant Kaal Sarp Dosh – Yoga is formed in a natal chart when Rahu placed in 1st house and ketu placed in 7th house and all other planets hemmed between them.Anant kaal sarp make the bad effects on married life of the person who has this dosh in his or her horoscope. The person may not get marry or may have a late marriage. After marriage there will be disputes and arguments in marriage life and such person may have the extra marital affairs because of unhappy relationship with his or her won spouse, thus the divorce and separation also can be done. Rahu in first house gives struggle to native and ketu in seventh unsatisfactory sexual relations with spouce. Kulik kaal Sarp Dosh is form in a horoscope when Rahu is placed in 2nd house and ketu in 8th house and all other planets are place between the degree of rahu and ketu. The native who is having Kulik kaal Sarp Dosh in his/her horoscope may have the educational problems, bad habits of eating, drinking, smoking or other drugs. That is the reasone the person may have bad health and suffering from diseases in life. This dosh is also responsible for poverty of native as 2nd house is dhan sthana in horoscope. Kulik kaal sarp dosh in a horoscope also can cause serious accidents of native. When Rahu placed in 3rd house of a horoscope and ketu is placed in 9th house and all other planets are in between the degree on Rahu and ketu, Vasuki Kaal Sarp Dosh is formed in the horoscope. Vasuki Kaal Sarp Dosh can cause many problems in native’s life related to bad luck of the native in many fields of the life. The native may not have the positive results for the efforts. He/she has to do lot of work hard to earn a small amount of money and may face the problems from his/her family, brother and sisters. Normally 3rd house of the horoscope indicates efferts of a person and 9th house, luck and fortune of a person so when vasuki kaal sarp dosh is formed in a horoscope the person will not have good luck and fortune and he has to suffer from lot of work hard for his/her family, brother and sister. Shankphal Kaalsarp Dosh is formed in a horoscope when Rahu is placed in fourth house and Ketu is placed in tenth house. Shankphal Kaal Sarp in horoscope can disturb the native in his/her childhood. The native can be indulged in bad habits and bad activities in his/her child hood like stealing money from parents pockets or purses, bunking from school and to be indulged in bad company as the fourth house represents childhood in horoscope of native. The fourth house also indicates the happiness of marriage life so the natives marriage life is also disturbed by Shankphal Kaal Sarp in the horoscope. 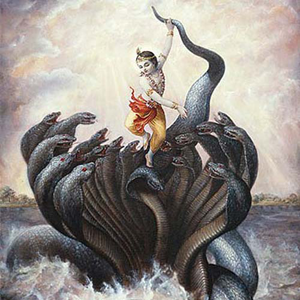 Shankphal Kaal Sarp is also bad for mother and father of the native, they may problems and struggle in life. Native profession is also is being disturbed and problematic due to Shankphal Kaal Sarp. Padam kaal sarp dosh is formed when Rahu placed in fifth house and ketu placed in eleventh house and rest of the planets are hammed between Rahu and ketu. If there are Padam Kaal Sarp dosh in the horoscope the native may have the problems related to education, child birth, love affairs, love marriages, health and problems related to daily income, and gains in business act. Normally Children problems should be seen in both male and female horoscope, but if there is padam kaalsarp dosh in one of them still the problem may cause related child birth. In some cases children suffers from bad health for a long time after birth or may have late birth of child like after many years of marriage. Your love, affaires and love marriages are considered from fifth house also and when rahu placed here can cause the problems related love and affairs. One may have been cheated by his or her lover. Relationship may not run for a long time and many other related problems. If there is padam kaalsarp in student’s horoscope, he or she may face many difficulties in studies; they may have not good results even after lot of hard work in studies. Mahapadam Kaal Sarp Dosh is formed when Rahu placed in sixth house and Ketu placed in twelfth house and all other planets are hammed between Rahu and ketu. Mahapadam Kaalsarp Dosh in natives horoscope can cause the difficulties related to job, service, bad relation with bosses, leagle problems due to enemies , bad health, hospitalization, extra expenditure more then income, less income, difficulties from government agencies. 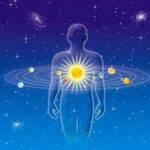 If you are facing problems related subjects you must get your horoscope analyzed by an expert. Takshak Kaalsarp Dosh is formed when Rahu placed in seventh house and Ketu placed in first house and rest of the planets are hammed between Rahu and Ketu. 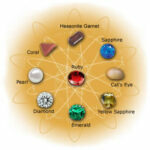 Takshak Kaalsarp dosh in natives horoscope can produce the huge problems in native life. first of all it should be considered seriously for marriage life, native may have bad relations life partner, Very bad health of native as ketu in first house, unfruitful business in partner ship, loss in businesses. Native having Takshak Kaalsarp Dosh in horoscope should no do business in partnership. Native lives life with spouse like a strangers. Native may have the problems from opposition. Karkotak Kaal Sarp Dosh is to be formed when in Native’s horoscope Rahu placed in eighth house and ketu is in second house and rest of the planets are hammed between Rahu and Ketu. Native having Karkotak Kaal Sarp Dosh in his or her horoscope, is very unfortunate in the life, He/she faces the bad luck in every field of life. He/she may not have advantages of prenatal Money, they are used to speak Sarcastic speech. Bad health and insulted by family members. Cheated by friends, may die due to poison. He/she may get late marriage and do not have the sexual pleasure after marriage. Shankhnaad Kaal Sarp Dosh is to be formed when in Native’s horoscope Rahu is placed in ninth house and Ketu is placed in third house and rest of the planets are hammed between Rahu and Ketu. 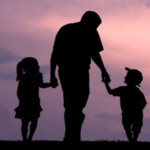 when Shankhnaad Kaalsarp Dosh is formed in Native;s horoscope he/she has to face many problems due to father, he/she may live without father and do not have any kind support from father. Shankhnaad kaal sarp can make a kind of Pitra Dosh in Native’s horoscope. Native suffers from bad luck, financial loses, Cheated friends and has to do lot of efforts to get less results. Ghatak Kaal Sarp Dosh is to be formed when in the native’s horoscope Rahu placed in tenth house and Ketu in fourth house and rest of the planets are hammed between Rahu and Ketu. Ghatak Kaal Sarp Dosh in horoscope can cause many problems in Native’s life. Rahu in tenth house cause professional problems. he/she may not settled in one profession, due to unsatisfactory in job or business he/she has to keep changing his/her profession. native has to live without mother or far from mother land, Mother may get suffered due to separation from native. Father and Mother may have bad health. Vishdhar Kaal Sarp Dosh is to be formed when in horoscope Rahu is placed in eleventh house and Ketu is in fifth house and rest of the planets are hammed between Rahu and Ketu. Vishdhar Kaal Sarp Dosh in Native’s horoscope may cause lots of difficulties in his/her life. Native may suffer from eye and heart diseases. He/she may not have good relations with elder brothers. Native may have very less memory and not a good performer in studies. he/she can not complete his/her studies thus Native’s has to face lots of struggle in life. Native has to live far from home to earn. Native may have unhealthy children due to Vishdhar Kaal Sarp Dosh. Shashnaag Kaal Sarp Dosh is to be formed when in Native’s horoscope Rahu placed in twelfth house and Ketu placed in sixth house and rest of the planets are hammed between Rahu and Ketu. Due to Shashnaag kaal Sarp Dosh, Native is always afraid of Snake in the grass. He/she has to many legal problems without ant reasons. Native has to get hospitalization due to regular bad heath. Person has to go far from mother land for good earnings. He/she may have the eye surgeries. He/she may have the lingerie in right leg due to accident. He/she may have the chance for two marriages.